I read a wonderful article in our local paper last week about the resurgence of front-yard patios; the idea is that positioning yourself in the front yard rather than the back generates an atmosphere of camaraderie and community. Learning environments can be seen in the same way. Online learning platforms take the back yard approach. They can be meaningful and convenient for busy professionals and offer lots of privacy. They can also feel isolating. Cohort learning environments, on the other hand, take the front yard approach. To achieve community and get the most from a learning cohort learning experience, participants must be open and vulnerable enough to put themselves out in the open. The beauty of the cohort is the way this pays off. A willingness to open up for the good of the group has a benefit -- knowing that shared experiences will support your individual growth as well as the growth of the entire cohort. Not everyone wants to be open and vulnerable all of the time, which is why finding a balance of different learning environments is key. But if you're looking for a way to grow in your field while building professional relationships and gaining shared insight, cohort learning might be for you. A significant purpose behind cohort learning is that it generates a sense of belonging for members. 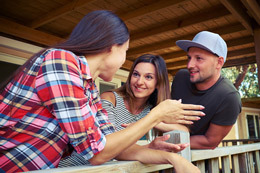 Just as youth need to know they are cared about by others and feel a sense of connection to others in the group, adults need it, too. Cohorts are structured environments in which individuals experience growth and development supported and challenged by the group. Cohort members think beyond their own needs to create an active, interactive, and dynamic growth. Along with their individual growth, members are equally concerned with supporting and offering reflective space for their peers. Cohorts cultivate environments that are ideal for building community, fostering creativity, and encouraging greater progress. What does a cohort look like? They range in size from 12 to 25 participants. Cohort members should be willing to share their experiences, be open to feedback and have a common purpose as the basis for collaboration. Cohorts often follow the Experiential Learning Model and encourage critical reflection. Knowledge construction should be problem based and participant centered. The cohort experience is about groups empowering individuals and individuals empowering groups. What is the correlation between cohort learning for adults and the field of youth development? As youth workers and youth-serving volunteers, it is important to practice what we preach. In 4-H, for example, youth are encouraged to participate in community clubs (or the like) as a means to enhance group cohesion and elevate belonging. If executed well, cohort learning for adults has the same results and models healthy peer-relations to youth observers. Cohort learning is not ideal -- or even possible -- for every situation, but it’s a beneficial model for cultivating community in professional development. What is your front-yard approach to training youth or adults? What tips would you share to cultivate a culture of community in your teaching?